“Corporations can’t donate to politicians. 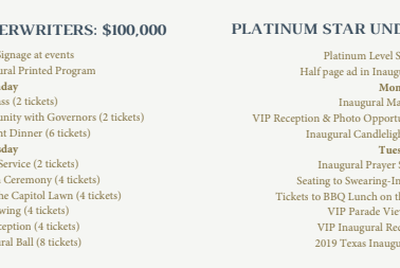 But $100,000 got them VIP treatment during Gov. 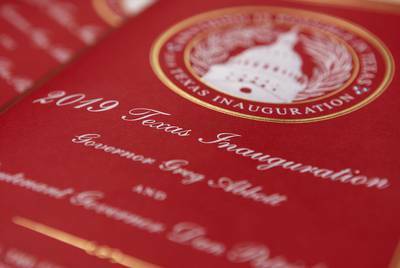 Greg Abbott’s inauguration.” was first published by The Texas Tribune, a nonprofit, nonpartisan media organization that informs Texans — and engages with them — about public policy, politics, government and statewide issues. 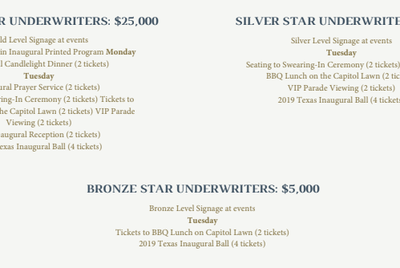 This article originally appeared in The Texas Tribune at https://www.texastribune.org/2019/02/07/wealthy-texans-pay-for-access-to-top-texas-leaders/.